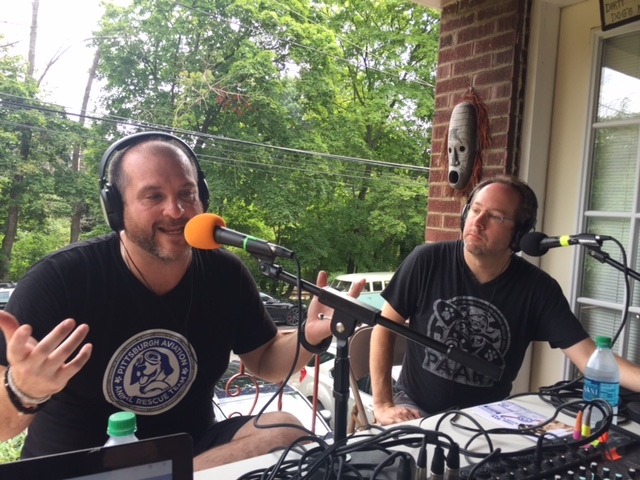 This is the 3rd of 4 Summer Porch Tour Podcasts, presented by The Port Authority! We are BACK in Mount Lebanon at Connie D’s place. 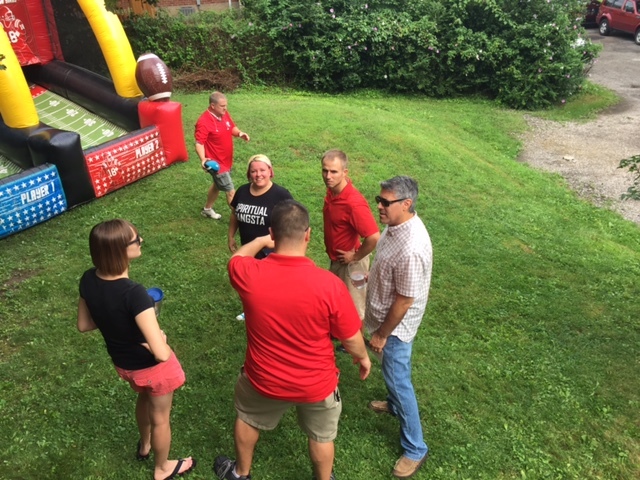 Be brought Ricci’ Sausage, KDKA-TV’s Ken Rice, Jon and Brad from the Pittsburgh Aviation Animal Rescue Team, hilarious Missy Moreno and, the Quarterback game from E.L.F Entertainment. 00:54 Welcome back to Mount Lebanon, located in the South Hills of Pittsburgh! We can see the Port Authority Red Line T-Station while sitting in Three Rivers Stadium seats from Connie’s front porch! 04:07 Brad Childs and Jonathan Plesset of the Pittsburgh Aviation Animal Rescue Team. They rescue pets with airplanes and are having one of the coolest PARTIES and fundraising event in the town, August 27th, at the Allegheny County Airport. Planes and puppies yinz guys!! 12:21 KDKA-TV anchor, Ken Rice joins us. 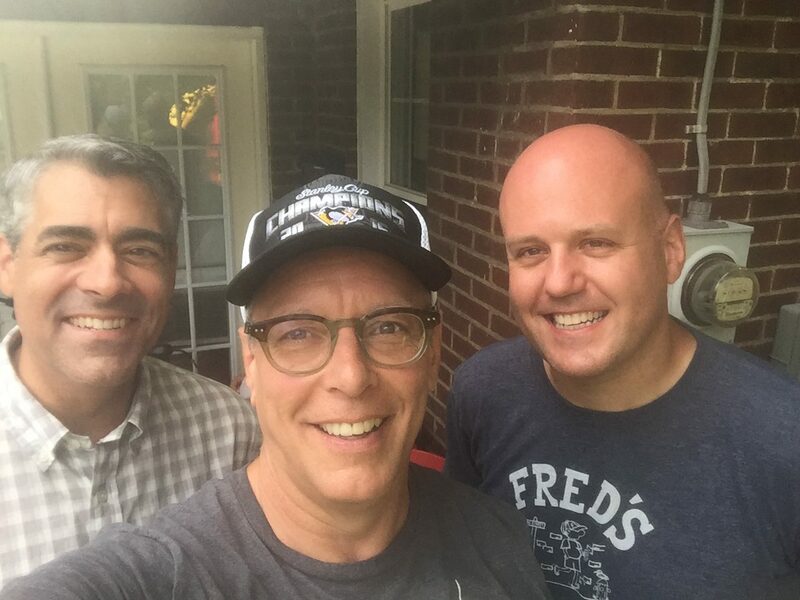 He’s awesome on Twitter and he’s hysterical on our podcast. How he got here and what he loves about Pittsburgh! How did HE do on the football throw? 25:13 We meet Connie D! She actually has beach sand and a TV in her back yard. She made pierogi, had vodka for us aaaaaaand once opened up at the Pittsburgh Improv for D.L. Hughley! 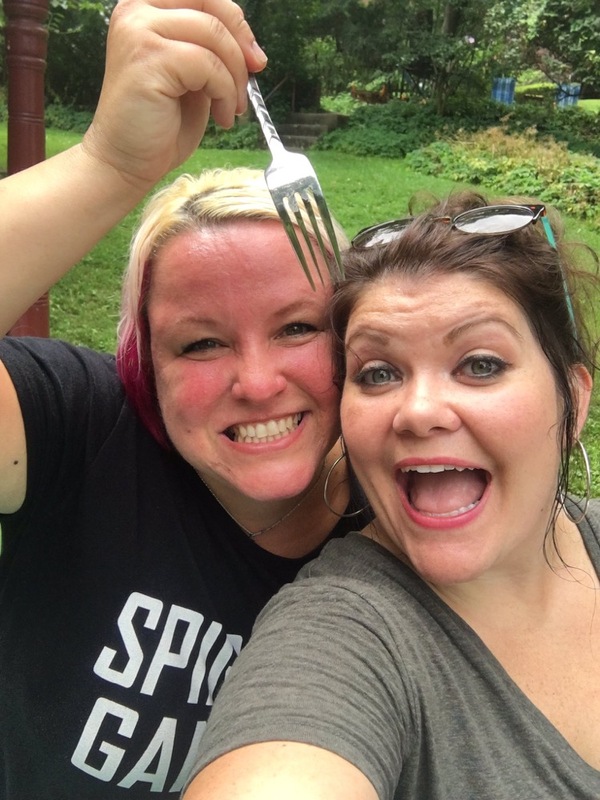 31:03 Comedian Missy Moreno finds us! You’ll hear how long it took her to find us despite living 6 minutes away from the porch. 40:41 Thanks again to our presenting sponsor, the Port Authority of Allegheny County! And, thanks to The Food Tasters and the new Byte Me Bakery in Beechview! Foodie Denise Schuster is back with us and reviews the cupcakes with a song!